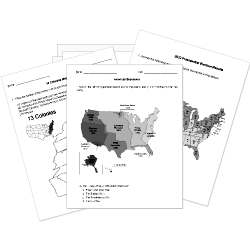 You can create printable tests and worksheets from these Africa and Middle East questions! Select one or more questions using the checkboxes above each question. Then click the add selected questions to a test button before moving to another page. The Crusaders regained Jerusalem peacefully during the Sixth Crusade through diplomacy. What was the name of the Dutch settlers in South Africa? What three empires in western Africa flourished because of the trans-Saharan trade of gold and salt? Crusaders in the Fifth Crusade captured Cairo from the Ayyubids. Which kingdom arose in the Sudan following the decline of Ghana in 1076? The builders of built huge stone walls around their city which name literally means "great stone houses". Which European leader personally claimed the Congo Free State as his own? Most of Mali lies in the Sahara Desert, so the people there are (and have been) heavily dependent on water from what river? Nigeria's government is a democracy. Who organized the Berlin Conference?